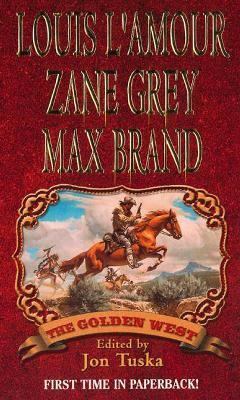 Three fully-restored classic novels by three legendary masters of Western adventure are collected in this anthology. Features L'Amour's original "The Trail to Crazy Man" (rewritten later as "Crossfire Trail"), Grey's "Tappan's Burro, " and Brand's "Jargan." Original.Tuska, Jon is the author of 'Golden West' with ISBN 9780843951615 and ISBN 0843951613.